When I wrote in The Maroon’s February 19 issue that The Promontory was Hyde Park’s only “serious dining experience,” I hardly meant that it was the only place worth eating in the neighborhood. Salonica’s hospitality kept me warm on a rainy, gloomy Wednesday afternoon, and I have grown fond of the cozy establishment. Our waitress skipped the small talk; service was prompt and attentive. Situated on the corner of 57th and Blackstone, this not-so-American diner greets you with black vinyl–cushioned wooden booths and subdued, unobtrusive music. Feel free to show up in sneakers and sweatpants, tuck in to Greek comfort food, slap $20 on the check, and continue with your day. Cream of Mushroom: Smooth, silky and not too salty or overpowering. The quality compared to something out of a can of Campbell’s. Winner for best bread dunk. 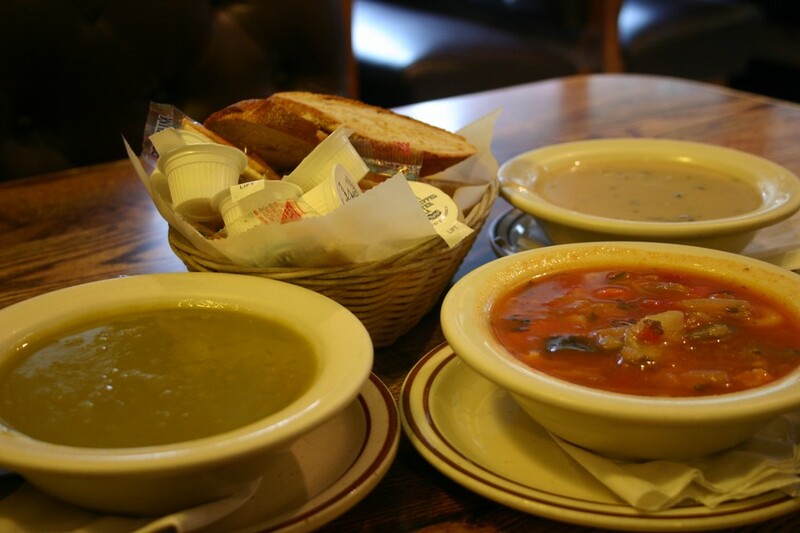 Split Pea: My personal favorite. A slight smokiness accompanied the sweet fragrance of the peas, onion, carrots, and hint of celery. Perhaps not the ideal choice if you don’t like your soups with a slightly grainy consistency. Vegetable: The roughly-chopped vegetables were hearty, but the soup was watery with only some basic seasoning, reminiscent of a cup of instant noodles. Least favorite. Big Fat Greek Omelet ($6.95): I was pleasantly surprised. 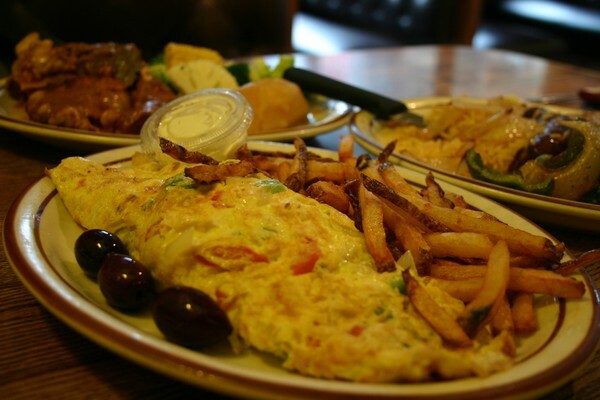 Everything good in a gyro stuffed into a diner-style omelet. 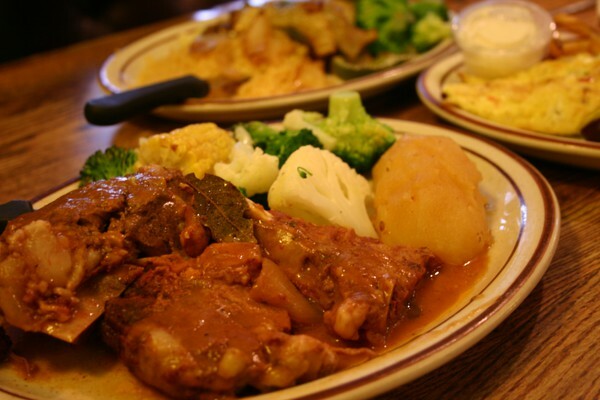 Braised Lamb ($12.95): The combination of braised lamb and potato was a winner, but the meat was dry. I ended up using the tzatziki, a tangy yogurt and cucumber sauce served with the omelet, to salvage it. Loukaniko ($10.95): Portion sizes were generous, except where this dish was concerned. This featured one sausage link amongst a mound of seasoned rice and steamed vegetables. And the lean, spiced sausage didn’t pass the snap test—unfortunately, the biggest disappointment of the outing. 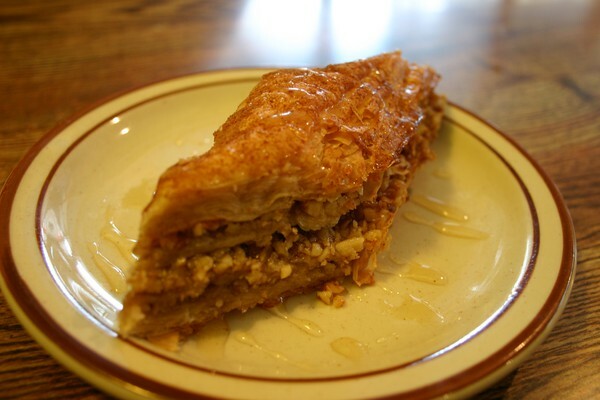 Baklava ($2.50): This homemade pastry sends you off happy. Sweet crumbled walnuts layered between flaky phyllo pastry, drizzled on top with honey—a sticky, delicious dessert. Come in early for a fresh slice; phyllo goes stale quickly. Greek extra virgin olive oil ($13): Shelved by the cashier, a bottle of this oil will cost you less than it would at Hyde Park Produce and Treasure Island, and, while fairly mild, it really does the job drizzled on pastas, salads, and seafood. 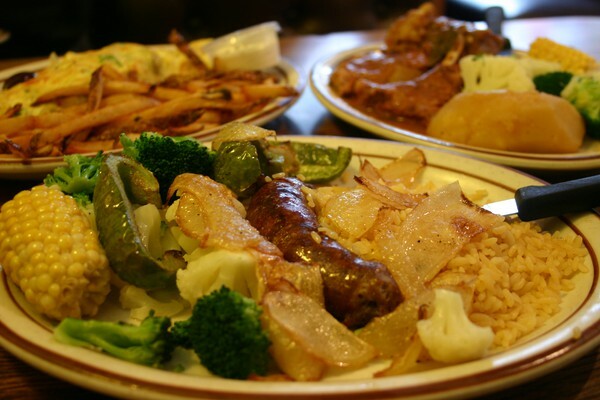 Salonica isn’t a greasy diner that will have you feeling worse after you eat. Rather, it’s a convenient, budget-friendly option for UChicago students to have a quick meal or to catch up on some readings with a cup of coffee and hot soup. The quality of food is more than compensated for by a stress-free, no-frills atmosphere that provides a temporary safe haven we all could use during the week. Open daily 7 a.m.–10 p.m. 1440 East 57th Street Chicago, IL 60637. $$.